Falls are the number one reason for construction site accidents and fatalities. In some cases, such accidents result because of a misstep or a tragic mistake. Far too often, however, they occur because contractors, workers, and other parties do not follow correct safety protocol. Determining liability for a construction site accident can be complicated. There are many parties and factors involved. For this reason, it is vital that you work with an experienced attorney like Lynn C. Harris. He focuses exclusively on personal injury law. Mr. Harris also helped to found the Utah Citizen Alliance. This organization gives those with personal injuries a voice in the state legislature. With this background, Mr. Harris is uniquely qualified to handle your personal injury lawsuit. To learn more about cases involving construction accidents and falls, contact our Salt Lake City, UT practice today. Construction is one of the most dangerous occupations in the United States. The Bureau of Labor Statistics reports that there were 908 construction accident fatalities in 2014. (This number is on the rise - up from 856 in 2013.) Over one-third of all construction accident fatalities are due to falls. 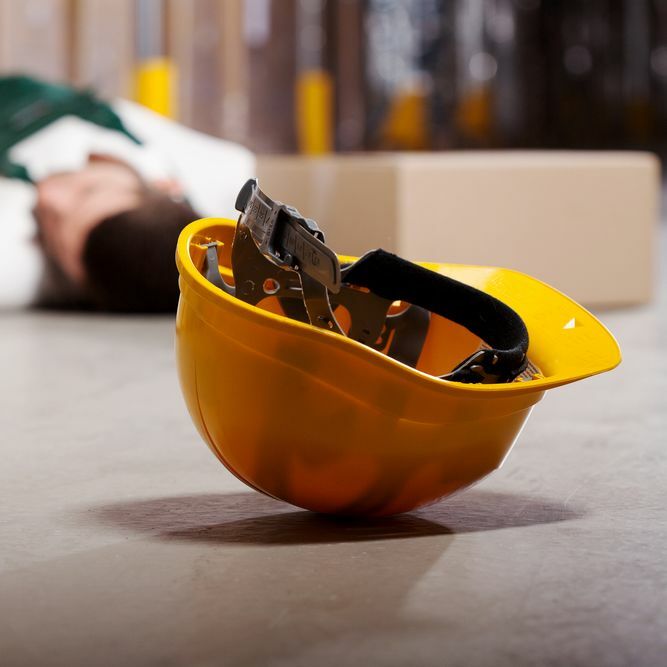 In their analysis of 2014 data, the Occupational Safety and Health Administration (OSHA) says that there were 349 construction fatalities because of falls. OSHA reports that construction accident falls could be prevented with three simple steps. Plan: Employers should evaluate every aspect of a job in advance. Then they can determine the safest and most effective way to get it done. In addition, they should consider all safety equipment and protocol when estimating the final cost of a job. Provide: Employers must supply proper safety equipment for anyone working more than six feet above ground. This gear includes scaffolds, ladders, and harnesses. Employers should test all equipment before giving it to workers. They should routinely retest safety gear through the duration of a job. Train: Workers should be trained on how to use all equipment, and they should also be taught to recognize certain hazards. Do You Have a Viable Personal Injury Case? If you or a loved one was injured after falling at a construction site, you may have grounds for a personal injury lawsuit. There are a number of parties that may be held responsible for your injuries. These individuals can include both the general contractor and subcontractor. If your fall was the result of faulty equipment, the manufacturer may also share legal responsibility. In some cases, the architect, project designer, and/or property owner may be held liable, as well. To wage a valid personal injury claim, you must be able to prove that the defendant had reasonable grounds to know about any dangerous conditions. You must also be able to show that he or she had time to correct the conditions before your injury occurred. Attorney Harris is highly familiar with the complexities of construction accident claims. He will carefully evaluate all aspects of your claim. He will look at medical records, police statements, and photographs of the construction site. He will also speak to eyewitnesses. If necessary, he can call on top medical expert witnesses. Through this exhaustive process, he will fight to expose negligence and to obtain the compensation that you deserve. Contact our firm today to learn more about personal injury law and to find out if you have a viable claim.